This documentary has been in the works for a MINUTE now. Shouts to Kwame (who used to rock the mic on the radio for those that don’t know) who’s put his blood, sweat and tears into a project that brings light to the story of black history in hockey. The screening is going down tomorrow night at the Rainbow Cinema on Front Street. Here’s all the info via the official blurb! 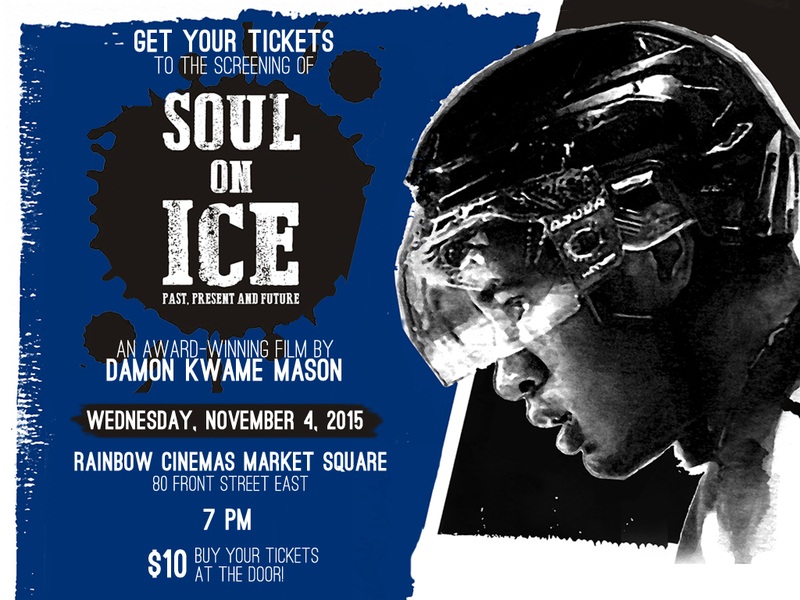 Award-winning documentary film Soul on Ice: Past Present & Future will be premiering for the public in Toronto Wednesday, November 4, 2015 at 7:00 PM, at Rainbow Cinemas – Market Square (80 Front Street East). The film captured the People’s Choice award for Best Feature film at the 2015 Edmonton International Film Festival. Written and Directed by Toronto’s Kwame Damon Mason and produced by Chester Sit, the film focuses on how black athletes are making a name for themselves in the sport of hockey. Taking over two years to complete, Soul on Ice: Past Present & Future looks at past, present and future black hockey players in all levels of hockey from the minor leagues to the majors. With their numbers on the rise, the film focuses on how the history of black athletes in hockey has influenced and encouraged more youth and their families to put their children into programs, regardless of race. The film introduces us to Brampton’s Jaden Lindo, a young black athlete looking to get drafted in the 2014 NHL Draft. The audience follows Jaden and his parents through the season, seeing the stress and pressure he has to go through to achieve his goal. Soul on Ice: Past Present & Future includes appearances from hockey legend Don Cherry as well as influential players such as Grant Fuhr who was the first black athlete to win a Stanley Cup and get inducted into the Hockey Hall of Fame as well as Wayne Simmonds, Devonte Smith-Pelly, and Trevor Daley to name a few. These men talk about their experience of hardship and accomplishments that currently exist for black athletes in hockey today. Kwame Damon Mason has been working in the Canadian entertainment industry since 1996. 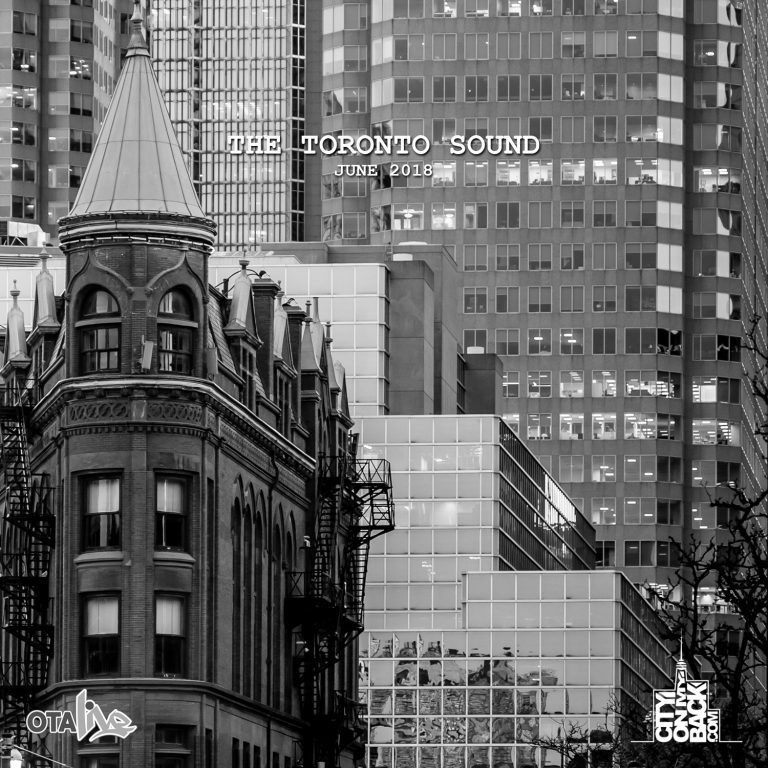 Kwame got his name out there thanks to popular radio stations like KISS 92.5 in Toronto where he co-hosted 2 hour hip hop and R&B mix show Da Vibe with DJ Short. 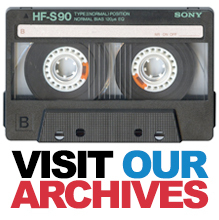 In February 2001 Kwame became the weekend announcer on Toronto’s first urban radio station FLOW 93.5. He eventually went on to work for the morning show and became the Saturday night live-to-air announcer. In addition to hosting, Kwame used his experience and expertise to help launch countless radio stations across Canada and has co-hosted with some of Canada’s most well-known DJs and stars like former NHL tough guy George Laraque. Directed by David F. Mewa. Nice piece on be and LL courtesy of MTV and Canon Canada. Shouts to Phoebe! Just happened on this great piece on Toronto musicians, activists, and residents LAL (Rosina, Murr and Ian) produced/directed by StudioFeed. 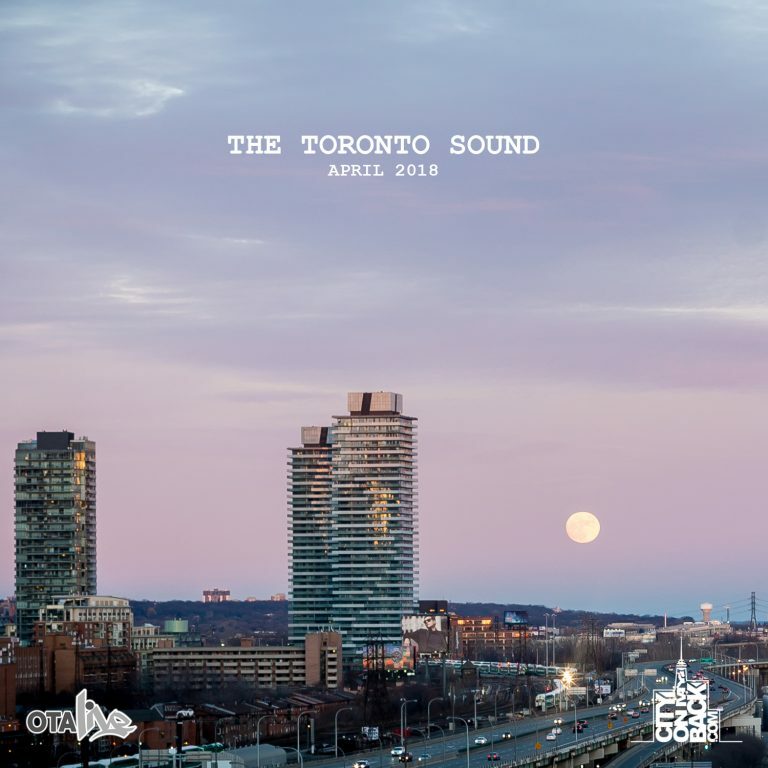 The piece covers the band’s music, activism and relationship with Toronto. Definitely worth putting aside some time to take in. Formed in 1998 by Bengali-rooted Rosina Kazi and her life partner, Barbados-born Nicholas Murray and later joined by Ugandan-born Ian De Souza, LAL proves incessantly hard to define. StudioFeed first sat down with Rose, Nic and Ian in April of 2012. With their self-titled release, “LAL,” set to debut at the Garrison in Toronto on May 18, we here at StudioFeed thought that we had a straight forward shoot in store; film the band, talk about the record and culminate in the record release party at the Garrison. But then we actually got to know the members of LAL, and that whole plan went out the window. Sit back. Take 15 minutes. LAL is what Independent Music is all about. VERY dope doc-piece on Shad via the folks at AuxTV! Parts 2, 3, 4 and 5 after the jump! Directed & Edited by Theo Skudra for Tom Glass Pictures. A really great short documenting Darren Anthony and his future plans for himself and his play “Secrets Of A Black Boy”. Fresh off the New York run off his play Secrets of a Black Boy, Darren Anthony is now starting the transition from stage to film. Check out his mini doc on his experience in New York. The fundraiser starts Oct 20th 2012 at Harlem Restaurant (Toronto). To donate to this movement please check the links below.